The Northwest Territories are a land of lakes and rivers. In Yellowknife, with the Great Slave Lake at your doorstep, you are keenly aware of the presence of water, in both liquid and solid forms. There are smaller lakes and rivers either in or close to town. In other parts of the Territories, communities are built near lakes or along the Mackenzie River. At this time of year they are all frozen, of course. The temperature stubbornly clings to the negative double-digits, even at the end of March. All the talk down south of polar vortexes during this winter has elicited a few chuckles up here. The Mackenzie is the largest river in the territory, and a crucial transportation channel. People have been navigating this river from before written history to the present day. The history and oral tradition of the Northwest Territories are rife with stories featuring the Mackenzie. It has been a highway for those who have lived here forever, and it has brought newcomers who have stayed and woven their threads into the fabric of northern society. 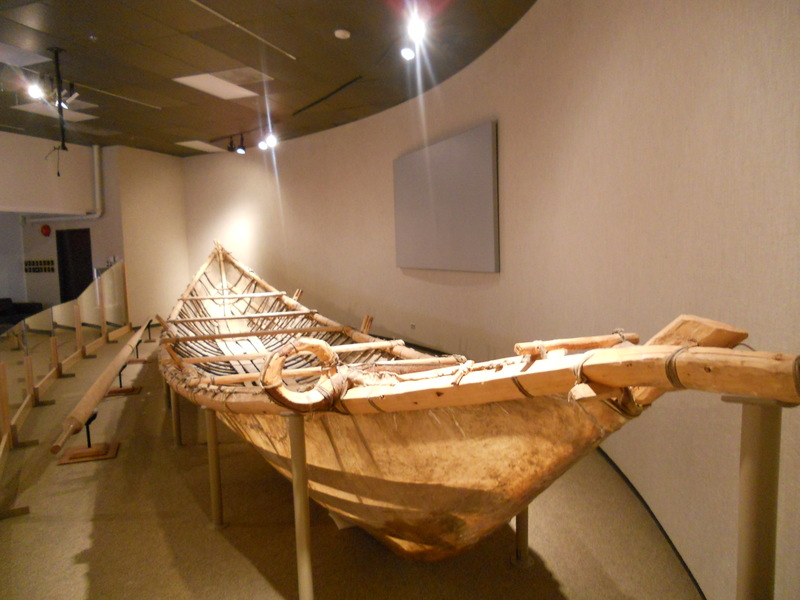 In the 1880s, back during the days of trading posts, the Shúhtaot’ine people (also called the Mountain Dene because their homeland is in the Mackenzie Mountains) devised the mooseskin boat, a unique vessel used to carry cargo such as meat and furs along the river to the trading posts. It’s exactly what it sounds like: a boat made from moose skins, and it was part of the traditional way of life until as late as the 1950s. In the early 1980s, in recognition of the importance of preserving this piece of history and transportation ingenuity, a project was initiated to build a mooseskin boat. Those possessing mooseskin boat-building skills were getting older and the aim of the project was to allow them to pass on their skills, and to document their knowledge. So in March 1981, exactly 33 years ago this month, a group of Shúhtaot’ine people returned to the Mackenzie Mountains and built this boat. It was a lot of work over some months, as everything was done the old-fashioned way, using what nature provided. The men hunted the moose, cut down the white spruce trees and split the logs to size to make the boat frame, the paddling oars and the steering oar. The women scraped off the moose fur and dried the hides. Out of the animal’s sinews, they made the strong thread that would be used to stitch the hides together. 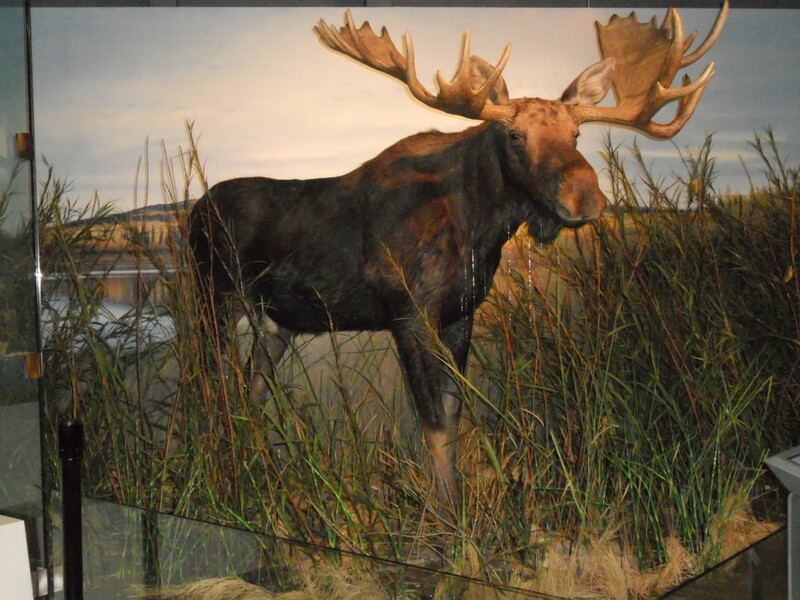 A moose is an enormous animal, and I can’t begin to imagine how tough its sinews are. A friend who hunts gave me some moose meat, and it’s remarkably lean. The creature is pure meat and muscle. I wouldn’t want to find myself face-to-face in the bush with one that wasn’t in a good mood. Once the mooseskins were properly dried, they were stitched together with the sinew, and soaked in water to make them more pliable. Meanwhile, the men built the boat frame. Then the wet skins were stretched across the frame and fastened securely. The project team sailed it down the Keele river and along the Mackenzie to the community of Tulita. In times gone by, the boats would have been dismantled at the end of the trading journey, and the hides tanned and recycled. But this boat was made for preservation. It made it up to Norman Wells, then back down south by barge to Yellowknife, where it stands proudly in the museum, all 13.1m/43ft and 364kg/800lbs of it. Another one was made in Tulita last summer for a similar project, but I don’t know what became of it. Back to the present day, in the quirky diamond capital of Yellowknife, there is still frozen water on the ground, in the form of ice and snow. Boats are of no use at this time of year, but we take full advantage of the frozen waters of the big lake. First we cut blocks of lake ice and build a snow castle. Then we flock to said castle during the entire month of March, and stand around on the ice floor wearing our parkas, or sit on stools of ice, and enjoy a variety of entertainment. There is no alcohol served at the castle, and it’s amazing how many people bring their coffee mugs to these night-time events. A stone’s throw away, we enjoy the Long John Jamboree for one March weekend, and turn the lake into a huge car park, snow frisbee park, helipad, ice carving centre, and whatever else the organizers dream up. 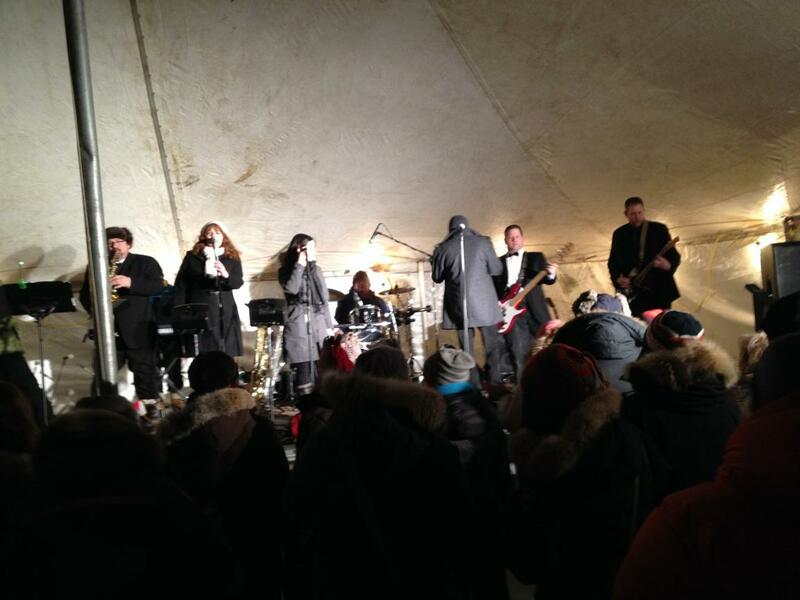 The Jamboree was held on the last weekend of March this year, I suspect because it was brutally cold last year, when it was held earlier in the month. I wrote in more detail about our Frozen Fun In The Sun last March. This year, I managed to make it down to the castle on only two occasions, both at night. So I didn’t get to see it in full glistening splendor under brilliant sunshine. There was quite a crowd for Latin music night, which made the air tolerably warm. Despite the body heat, 2 hours of standing around on ice still made for cold toes. The Great Meltdown was held at the castle on the last Saturday of March. It was the final night of entertainment, a musical jam session. During some crowded events the castle literally starts melting, as water starts dripping from the ceiling. The last Saturday was also the last night of entertainment at the Jamboree next door, so I simply had to go down and check out at least one event. I got there in time to see the Burn on the Bay. On a spot on the lake, safely away from anything that can burn or melt, local artists create a structure out of wood, then make a big bonfire out of it. 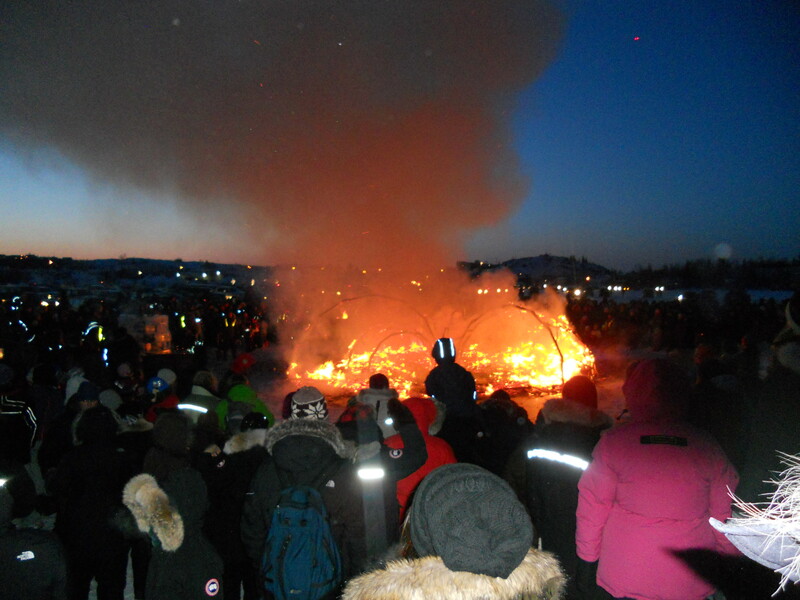 I have no idea why they do it, but people love to watch a fire, because despite the cold, there was a big crowd. 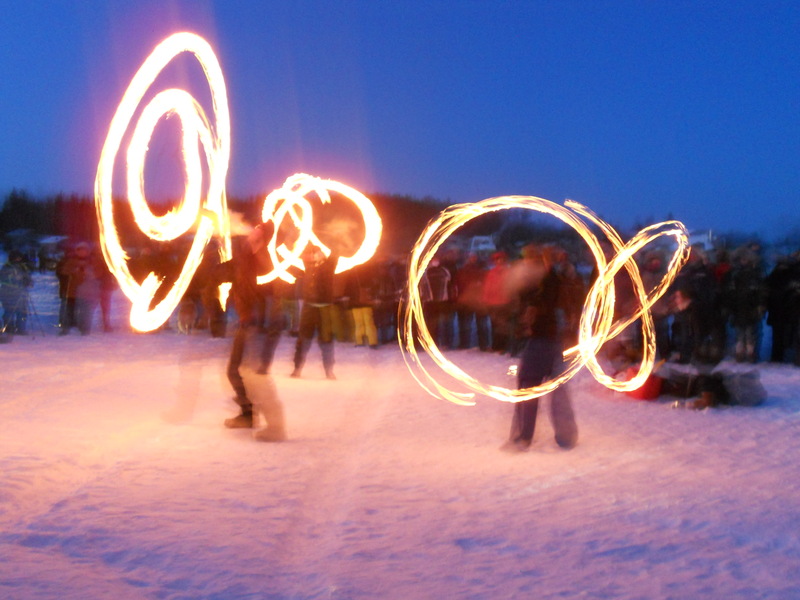 In keeping with the fire theme, there were also “flame-twirlers” as I call them, i.e. people twirling small flames about. It was very windy, so at times the flames were extinguished and had to be relit. At this time of year it gets dark around 9pm, so the flames in the semi-darkness made for an eerie scene. To end it all, there were fireworks. Enough with the fires and flames: it was time to make a decision on the indoor entertainment. The castle jam session lost out to the Jamboree music tent, because The Committed were playing there. It was cold so they had to perform wearing their coats, hats and boots. But they’re billed as “Saviours of Northern Soul” and let’s just say that they know how to warm up your body. They were not allowed to leave without an encore. 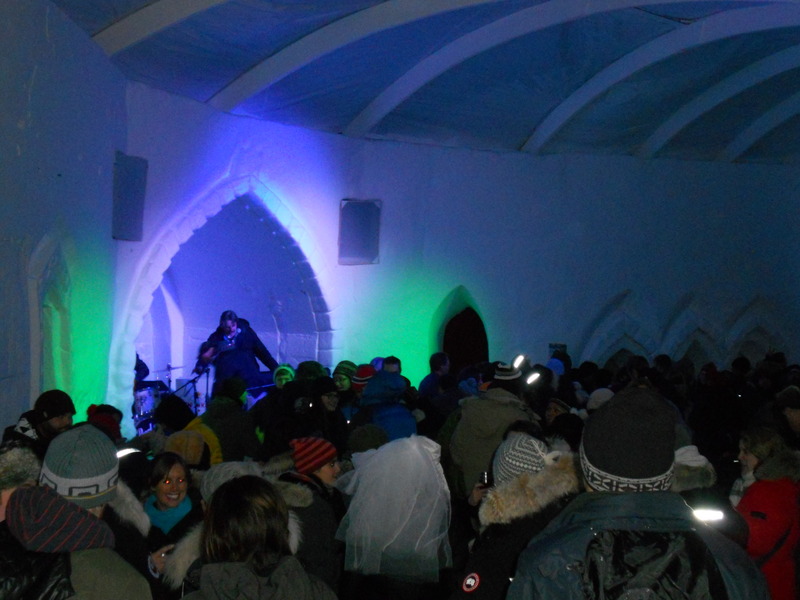 When they finished playing, the jam session was still on at the castle, but my frozen toes didn’t particularly like the idea of spending more time standing around on ice. The aurora showed herself as I was leaving, making it yet another one of those perfect evenings that you can have only in Yellowknife.